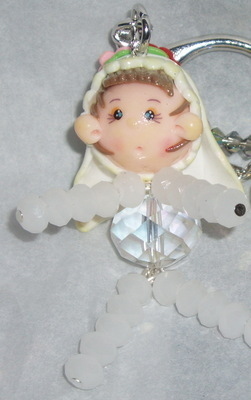 I've designed and made this Bride Keyring using a polymer clay head and faceted crystal rondelle beads for the body. A super gift for the bride to be. These are 12cm long including the keyring.